GH is a multinational family-owned company, specialising in products for lifting and moving cargo. 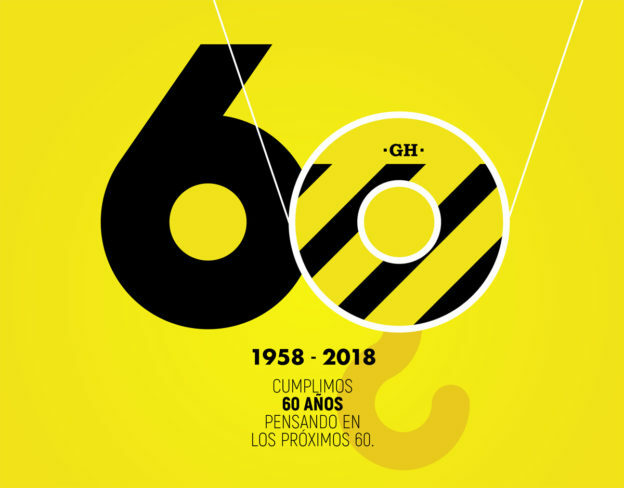 With over 60 years in the business, GH works with the most diverse sectors within the global economy with special attention for those that need specific products requiring high performance due to the demand for precision, quality and productivity. The star product in GH’s range is its overhead crane and all of the variants on this, both cranes deemed to be standard and those designated as special due to their features and the sector for which they are intended. 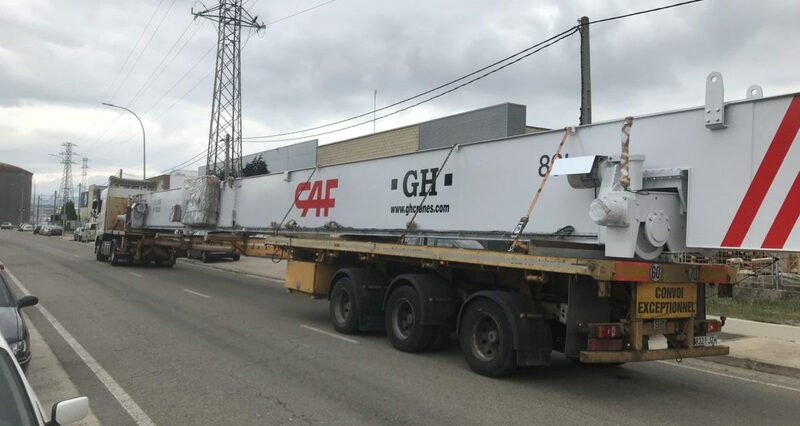 GH’s involvement with CAF and its developments, both internal and external, date back to the beginning of both companies’ operations since the origins of both GH and CAF came about in the innovative, entrepreneurial and industrial Goierri Valley in Beasain. Among the outstanding products for the railway sector, there is the mobile transfer cart, for which GH has developed its own product that meets the requirements of a company such as CAF, which is a leading firm across the world in the railway sector. 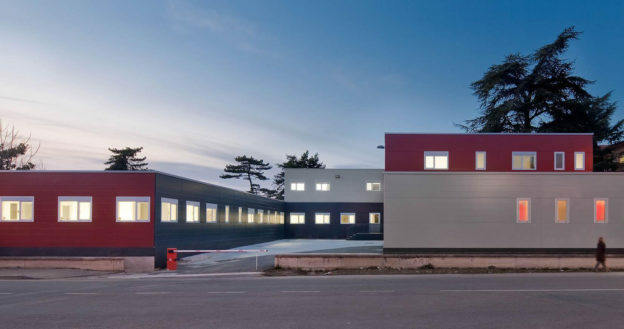 GH has been fully involved with the project from the offset with seamless interactions between the technical staff at GH and CAF for this project in Newport. 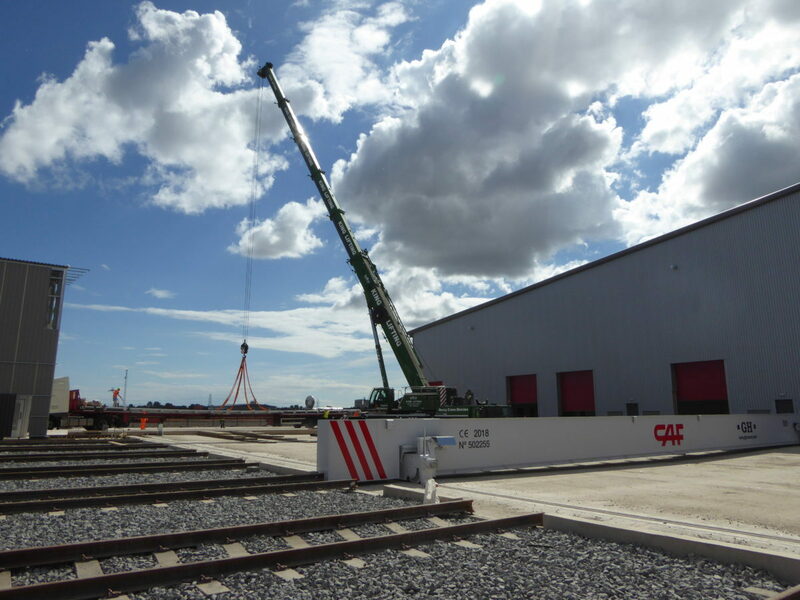 The business is a reference point in the railway sector and this project is tangible proof of that. WHERE: Celtic Business Park, Newport, Wales. START OF OPERATIONS: Autumn 2018. SCOPE OF WORK: Car finishing and testing. TRANSFER CART: Service to the workshops (warehouse, final assembly and testing bay), and auxiliary factory facilities(painting and water testing). Esta entrada se publicó en Sin categoría y está etiquetada con CAF, Newport, Railway, Trains, transfer cart en 2018/10/08 por ghcranes.